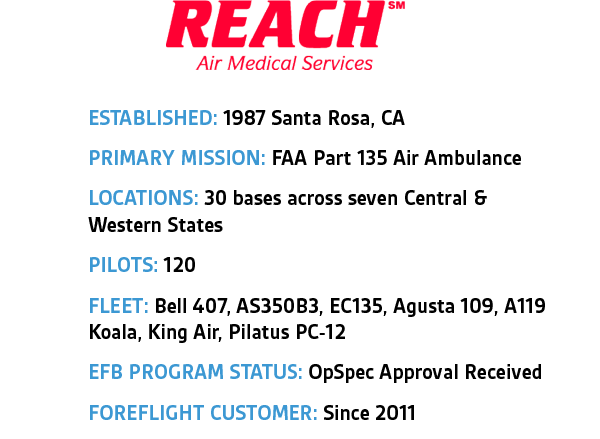 Dr. John L. McDonald founded REACH Air Medical Services in 1987. His passion for pediatric care gave him the drive and insight to address the critical need for emergency air ambulance transport to better serve these young patients. One of Dr. McDonald’s guiding principles was “always do what is right for the patient”—a principle that continues to underpin the company’s mission today. The REACH flight department holds high standards and expectations for safety, professionalism, and communication. Technology in the cockpit helps REACH Air pilots meet these expectations on every mission. From a single-pilot IFR point of view, there is a night and day difference between ForeFlight and any other method of retrieving a briefing and filing IFR. 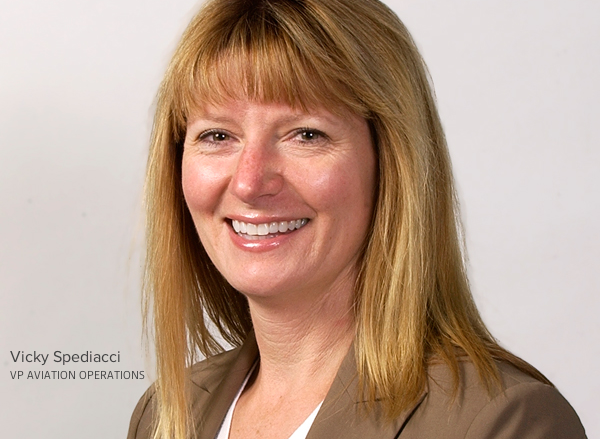 We caught up with Vicky Spediacci, a 21-year veteran of REACH Air, who currently serves as VP of Aviation Operations and Robert Swarner, REACH Air’s Lead Pilot in Santa Rosa, CA and in-house Electronic Flight Bag program manager. Vicky and Robert shared insight on how electronic flight bag technology helps their flight department meet the company’s high expectations for safety and focusing on the real-time needs of the patients they transport. In general, how has technology shaped REACH Air operations? [Vicky] Dr. McDonald was always very supportive of getting into the leading edge of technology if it would do two things for us: 1) it would help the aeronautical decision making and safety parameters for our aviators, and 2) it would help us gain additional access to patients that we serve all of the time. 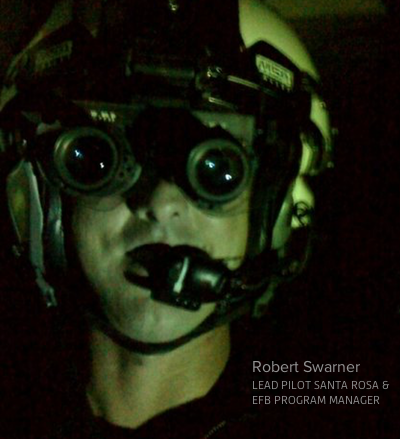 We were early adopters of using GPS approaches into hospitals, as well as early users for the advancement of Night Vision Goggle technology. We are always looking for technology to bring into the cockpit if it is going to allow us to be more efficient and to be safer by having more information at the tip of our fingers, so that we can make better decisions. [Robert] When we first proposed an EFB program we had a couple of goals, which included document control and distribution that would work in a scalable way. We were also looking to replace or improve upon the capabilities a pilot has at their desk (that is, access to information and flight planning) with a mobile tool that could be accessed in the helicopter away from the base. We started evaluating hardware and software in 2011 and we are currently in our FAA required validation phase (as of February 2016). Initially, we formed a working group of pilots to discuss the tools we would want to have on that mobile device and together we evaluated the options. Over time, we have even recalibrated our expectations with the capabilities that ForeFlight has introduced. What capability in ForeFlight has made the most impact on your operations? [Robert] From a single-pilot IFR point of view, there is a night and day difference between [ForeFlight] and any other method of retrieving a briefing and filing IFR. The method we used previous to ForeFlight would take a comparatively long time. I can design a flight plan, retrieve a briefing, file an IFR flight plan—and have an acknowledgment from ATC—before I can even possibly get to starting the engines. The time that it takes me to get down to the helicopter and start it up is 100% of the time plenty of time for the flight plan to transmit and be available for pickup with ATC. In terms of time-savings on the IFR side it has been fantastic. 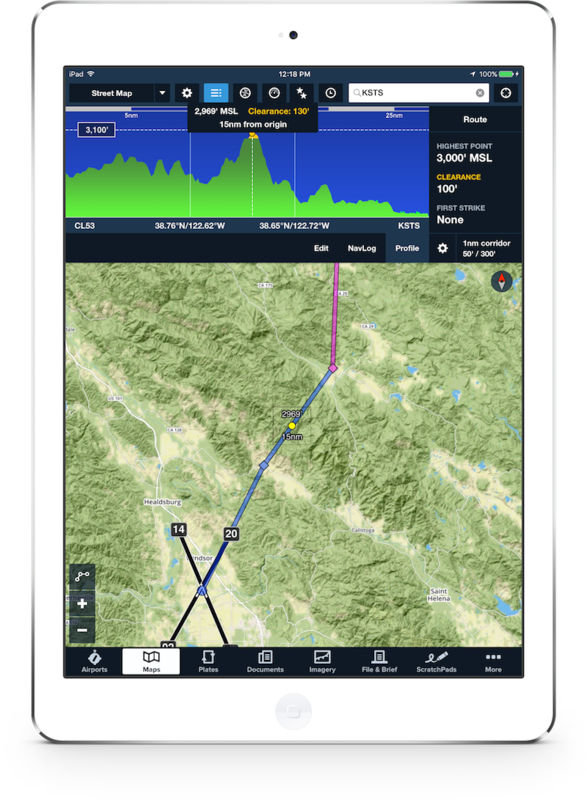 Integrating our proprietary GPS approaches, special procedures, and user waypoints, distributing that information to pilots in the field, and having that information work within the native ForeFlight interface is really exciting. Operationally, it can be a matter of sitting on-scene someplace in the idling helicopter. Then we find out that the patient needs to go to one of these places [with a special procedure]. There is a real-time need to quickly file the IFR flight plan and prepare all that goes into performing the special procedures. And having that information work within the native ForeFlight interface was a really exciting goal to accomplish. [Robert] A couple of instances come to mind where untethering from the desktop and having mobile planning tools available in the field really paid off. We had a call request for an off-airport landing in rural western Sonoma County. We got all the way out there and find out, to our surprise, that the patient is pediatric. They will not be going to the local adult trauma center, but they will be going to a specialty center in the Bay Area. And of course the Bay Area has a marine layer. So while I’m sitting on the ground and the crew is taking care of the patient in the ambulance, I was able to retrieve my briefing and file an IFR flight plan from the coordinates where I was sitting all the way to the specialty center using our hospital GPS approach. So if you were to talk to me or any one of my colleagues six or seven or ten years ago and tell them that was going to be a possibility it would seem a lot like putting a man on Mars! The other situation can be prefaced with some discussion about the obstacle height regulatory requirement. ForeFlight was ahead of the regulatory requirements for this. The roll out of the highest obstacle feature was perfectly timed with the A021 rulemaking requiring EMS pilots to find and record the highest obstacle along their planned route of flight. Lo and behold there it was in the app with the number we’re looking for! We can plan a flight with multi-touch gestures on the map, put a thumb and a forefinger on the start and end points of the flight, and then rubber-band the route. And the whole time you are doing that you can see in the profile section where that highest obstacle is. Then you can scrub along the flight to see it on the chart. ForeFlight takes the spirit of the regulatory requirement, which is that the FAA wants the pilot to know what the highest obstacle is in the planning phase, and then it turns into something that is massively more useful than just being able to report the number to comply with the regulation. [Robert] Two pieces of advice were handed down to me from a fellow pilot who is the EFB program manager at an airline: 1) you are going to be managing lots of data on the EFB platform, organizing that information is critical. 2) be aware that the MDM software can affect the way an app runs. Our authorization specifically allows us to use ForeFlight for all phases of flight as a primary reference for publications and navigation charts. We flight plan on the device, carry it onto the aircraft, strap in on our kneeboard, and operate it all the way to landing at the destination displaying everything we need including departure and approach plates, special procedures, etc. 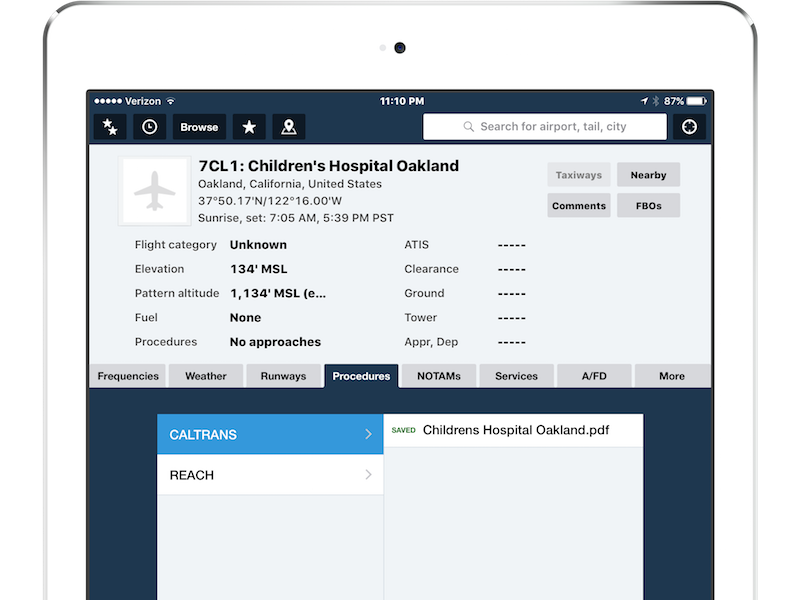 ForeFlight is the only app that we have approval to use for all phases of flight.